I was born in Los Angeles, California and raised in Tehran. At the start of my junior year in high school, I moved to Kuala Lumpur, Malaysia and completed the full International Baccalaureate (IB) diploma. My higher level IB subjects were Chemistry, Physics and English. I also completed standard level mathematics and business and management. Additionally, I did the first year of HL mathematics in my junior year. I am now studying at UC Davis. I am majoring in Chemistry and am hoping to minor in middle eastern studies with a focus on modern Iranian history. This is my first official tutoring position but I have been a peer advisor throughout my four years of high school. My favorite subject is chemistry. The Iranian curriculum is extremely focused on establishing a strong mathematics foundation for all students. In addition to this, since I was an IB diploma candidate, I have studied both higher level and standard level mathematics in high school. In high school, I was part of a three man team representing the state in the chemistry Olympiads. I also studied higher level chemistry for the IB diploma. I am currently majoring in Chemistry. I'd like to think of myself as an easy going guy who is committed to making someone understand a concept that is vague. Other than academics, I'm an avid soccer (futbol is the correct word) and tennis fan. So, if students ever feel tired and need a break, I'd be more than happy to start up a conversation on how Roger Federer is the greatest tennis player of all time or who will win the premier league this year. 2 years of Higher Level Chemistry for the international baccalaureate. 2 years of Higher Level physics for the international baccalaureate. 1 year of Higher Level Mathematics for the international baccalaureate. 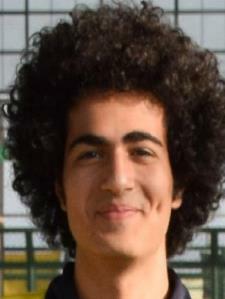 Former member of the Iranian Chemistry Olympiad. This was our first session....Arya was wonderful.....very kind and considerate. He was friendly and engaging with my son, and explained things clearly while working at a pace that was comfortable, all the while being supportive and encouraging if something was unclear. Arya has a warm, easy going way about him, which made my son comfortable and contributed to his ease and enjoyment working with him. Also, Arya has been incredibly prompt and responsive when communicating via email...we are so glad to have made this connection and are looking forward to future sessions with him. Thank you Arya! Arya is very knowledgeable about chemistry and math. He is able to explain concepts well and make sure that they are understood before moving on. He is easy to contact and replies quickly.